A guide to Adelaide's lesser-known, must-try menu items. We all have that friend. The person that goes to Greece for a wedding, hires a ginormous villa with friends and takes a well-documented sailing trip around Mykonos and the Greek Isles. We’re not that friend. We’re the friend that suggests a trip to Bacon Street in Hindmarsh on Saturday morning for a quick sail around the Gaganis Bros Warehouse aisles instead. Paul Gaganis established the business in 1971 and since that time has grown it into a national company with distribution across Australia and an international supply chain stretching from Bulgaria to Brazil. 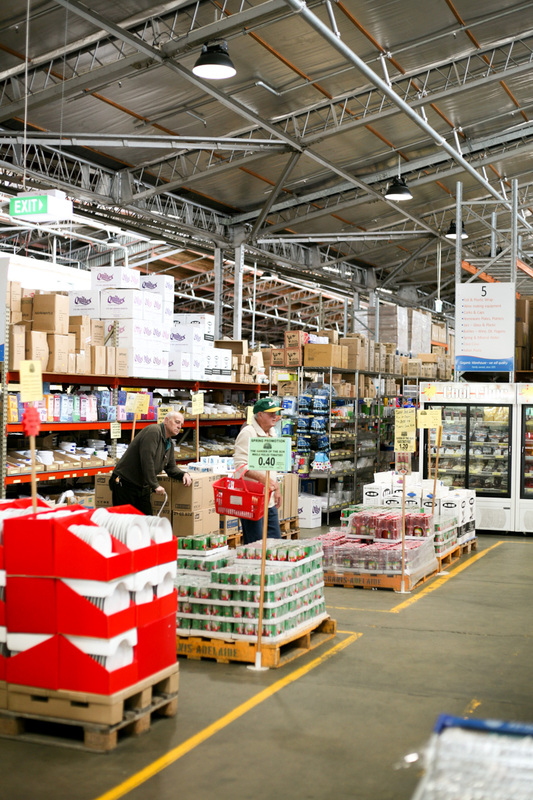 You could say that Gaganis is for food what Ikea is for furniture or Bunnings is for tools, however shopping at Gaganis Warehouse is an entirely different experience to both. Sure – the feeling of having endless choice is there but unlike shopping at Ikea or Bunnings, when you’re shopping at Gaganis you’re not thinking about yourself – you’re shopping for others, for a party, for a family feast – a celebration of people coming together. Gaganis is ground zero for gregariousness and its bulk supplies encourage a more sincere approach to hospitality. 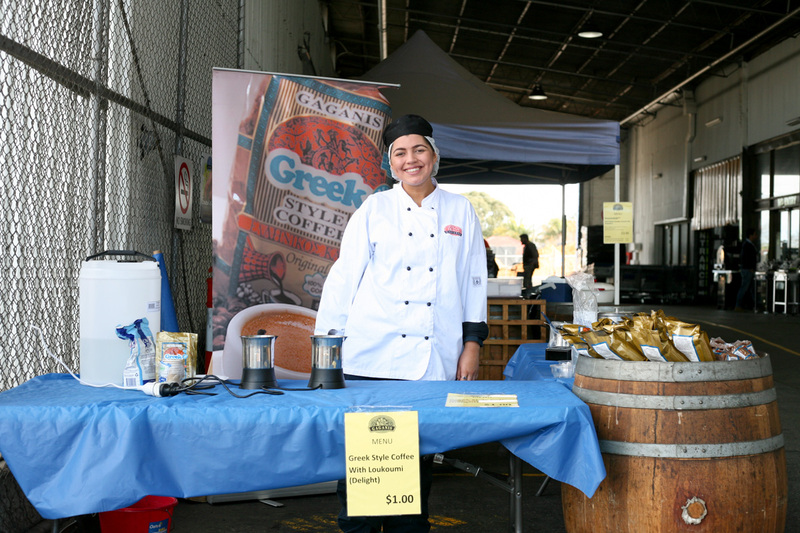 Visiting on a Saturday morning is probably the pinnacle Gaganis experience, with a suitably Greek version of the Bunnings sausage sizzle scenting the air and sweet Greek coffee for just $1 a cup (that comes with a biscuit to boot). Gaganis is the home of hospitality in South Australia. Choosing Just One Thing from Gaganis’ bulk selection of delicious food items might seem like a Herculean task but it’s not. Just buy Gaganis Tarama Dip. The one on the right! Don’t bother with the yellow label tarama. It’s brilliant pink hue is a delight to the eyes, and its whipped texture is a delight on the palate. You might be put off a bit by the fact that it’s a dip made from cod roe but its flavour is so subtle and yet enduring that it really challenges your mind to categorise its flavour: is it sweet, salty or savoury – perhaps even, umami? In any case Tarama lends a level of sophistication to your average cheese and pickle board that will turn even the most intimate of happy hours into something more akin to a big fat Greek wedding. Ultimately, you’re going to end up eating it straight from the tub, holding the fridge door ajar while you pop the lid and look for whatever vessel you can muster to ship the dip from the plastic container to your mouth. Heck, a finger will do. A trip to Gaganis may not be quite as picturesque as sailing around Mykonos but eating Gaganis Tarama dip from your finger is pretty darn decadent.